Whatever your age and type of roof, whatever your style and whatever your budget, we will source the most appropriate slate, tiles and fittings to meet your unique requirements. We have over 35 years’ experience in fitting slate and tile roofs, but we don’t just install the roof, we will help you consider visual requirements, planning restrictions, site exposure, roof pitch and cost – so you can have confidence your chosen slate or tile roof is the perfect solution for your property. You can rely on our experienced workforce to provide a professional new roofing installation. Having worked on a massive variety of different building types, ages and sizes over many years, our expertise is second to none. Whether you require a quote for a new installation on a residential or commercial building we have all the solutions you will need. Each stage of works from the stripping off to the lead work will be photographed and explained fully to ensure your confidence in our work. We can supply and install dry verge & dry ridge tile system to an exceptional standard in line with all government regulations. Traditional ridge tiles are cemented with mortar which, over the years, can erode. Because dry ridge and dry verge systems do not use mortar, they are stronger and more resistant to the elements. There are many benefits to having dry ridge / dry verge systems installed on your roof. The main one is that the ridge tiles and verges are locked together with fixings, making them less prone to fail in high winds. They also make your roof more secure by locking it in place. 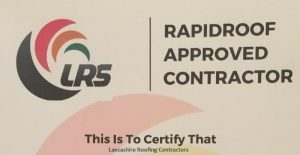 At Lancashire Roofing Contractors we are a family firm and we are experienced in working with guttering, fascias and soffits, so you will know your fitting, maintenance and repairs will be undertaken to exacting standards. Whether you are looking for a simple repair, or a new installation, our team of professionals will ensure the work is carried out to a high quality, with the minimum of disruption. Leaking gutters can cause expensive repair bills. Joint failure is predominantly the cause along with corrosion. Repairing guttering is considered as a short-term fix. The permanent solution is for us to install hard wearing uPVC guttering. Gutters can also become overwhelmed during storm conditions if obstructed by debris from trees or droppings, hence it is advisable to have them cleared on an annual basis. Fascias support the bottom row of roof tiles and carry the guttering. Attractive uPVC fascias are just as strong as the original wood but have the added appeal of being hassle free. Lancashire Roofing Contractors can supply and install top quality uPVC fascia boards that are maintenance free and very economical with a life expectancy of over 20 years. We can replace degraded timber fascias, over-cap existing fascias, use colour to co-ordinate with windows and door systems and create individual and traditional roof styles. UPVC fascias are available in a range of depths and edge designs to suit every type of home. Leadwork, such as flashings and valleys, are used to protect vulnerable joints on the roof. These are critical and contribute to the overall performance of the roof, junctions, and chimney stacks. For an attractive and fully weatherproofed result, leadwork work must be carried out to the highest standard by a skilled professional. We have over 35 years’ experience working on traditional and modern leadwork on properties of all styles and ages. Call us for a no obligation survey and advice. Soffits support fascias and provide ventilation to the roofs of centrally heated homes. Without this ventilation condensation can form and increase the risk of timber decay. We supply and install uPVC soffits, along with cladding in a range of colours and various venting systems. We provide a complete domestic and commercial roofing service, ranging from the first installation on a new build or refurbished property all the way through to an in-depth consultation and repair service to make sure that even the oldest roofs stay watertight. Please call Lancashire Flat Roofing Contractors on 01282 773 054 today. We operate throughout Lancashire and beyond and we are more than happy to visit your property to discuss all available roofing options and provide a no-obligation quotation.